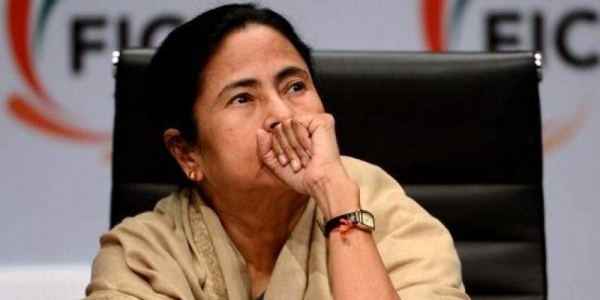 KOLKATA: After completion of panchayat election in the plains, political parties in the hill districts of West Bengal are likely to discuss with Chief Minister Mamata Banerjee the possibilities of conducting elections to the Gorkhaland Territorial Administration (GTA) during her planned visit to Darjeeling to attend the summit of the 15 ethnic development boards on May 30. The tenure of the GTA had expired in July last year and even the six month tenure of the GTA Board of Administrators established by the West Bengal Chief Minister had come to an end. So, Gorkha leaders of Binay Tamang-Anit Thapa (BT-AT) faction of Gorkha Janmukti Morcha, Gorkha National Liberation Front, Akhil Bharatiya Gorkha League, Jan Andolan Party and Hill Trinamool Congress are seeking to conduct the elections as soon as possible in the absence of absconding GJM leader Bimal Gurung, sources revealed. “An alliance is likely between GJM (BT-AT), GNLF, ABGL, JAP and Hill TMC in the elections so that they don’t fight each other and get respectable number of seats to be politically relevant in GTA. This is also seen by some as a conspiracy to keep Bimal Gurung out of power and the plan seems to have full state support as these political parties are not so rigid on their demand for statehood as Bimal Gurung is,” a political observer of the hill politics said. candidates in. However, TMC had made its presence felt in the hill by winning Mirik Municipality in 2016 and also getting a few seats in Darjeeling, Kalimpong and Kurseong municipalities. started as GJM was scared that TMC would defeat them in the GTA elections slated in July last year. However, the situation has been better since October last year and no fresh violence has been reported since then. “Peace and democracy have returned to the hills and developmental works have gathered pace. We hope that the State Election Commission will take a decision regarding the election soon,” GTA Board of Administrators chairman Binay Tamang said. He was handpicked to this post by Mamata Banerjee herself in September last year. raised voice against the extension and now does not want to be seen as hypocritical, sources revealed. However, with onset of monsoon from July in the hills, GTA elections does not seem likely before August end or September but is expected to be completed before Durga Puja or Dassain festival.